U.S. 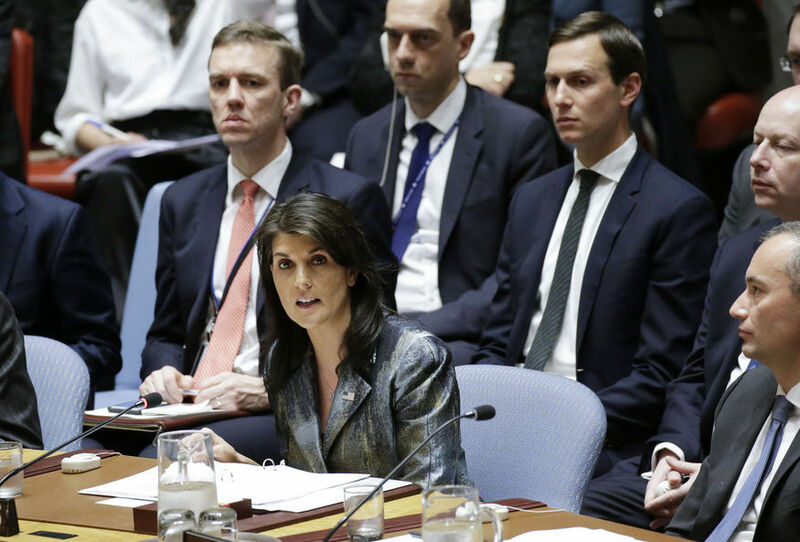 Ambassador Nikki Haley stood up for Israel at the U.N. Security Council, where the usual anti-Israel mob sought to condemn the Jewish state for protecting its borders against Palestinian rioters. She rejected the idea that the U.S. embassy move to Jerusalem had anything to do with the violence, saying, "Those who suggest the Gaza violence has anything to do with the location of the American embassy are sorely mistaken. "Rather the violence comes from those who reject the existence of the State of Israel in any location ... We must remember that the terrorist organization Hamas is the one undermining regional stability for many years before the US decided to move the embassy." She added that Israel is well within its rights to secure its borders, stating, "Who among us would accept this type of activity on your border? … No country in this chamber would act with more restraint than Israel has."